Mending garments has a history as long as civilization. Students will explore various ways to mend clothing - visible and decorative techniques as well as more concealed varieties of repair. Students will bring one or more garments in need of repair, scrap cloth, embroidery floss and basic sewing tool kit. 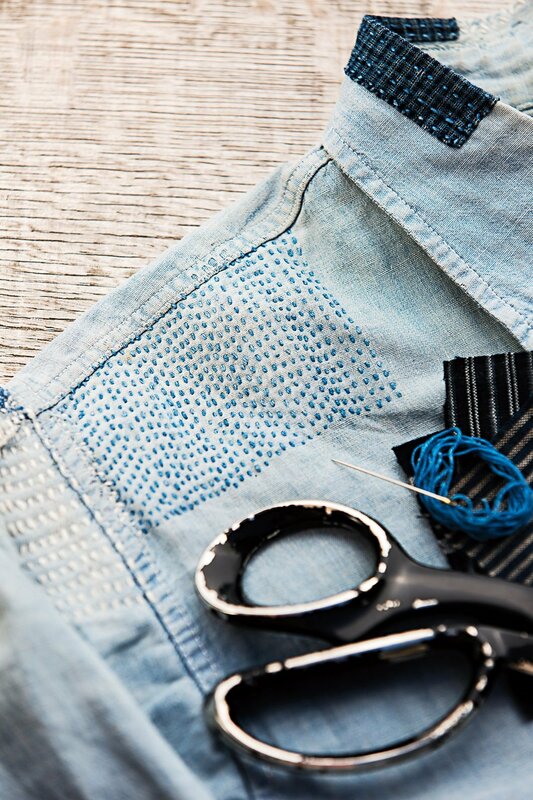 Machines are optional for this class, please call the shop to for advice based on the type of mending you want to do. Requirements: Students will need to bring items to be repaired, as well as some material to make repairs with. List of supplies will be available at the store.